The best of products from all corners of the world! 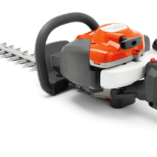 Martyns Outdoor Power is proud to offer an extensive range of Home Gardener, Lifestyle, Arboricultural, Horticultural, and Commercial tools and equipment to the market. 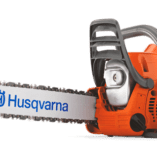 Our fantastic product range includes world-renowned brands such as Husqvarna, Lawnmaster, Billy Goat, Honda, Briggs and Stratton, Echo, Gardena, Solo, Wolf-Garten and more. 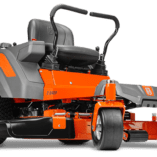 As a long established business, Martyns Outdoor Power and Equipment Centre Ltd sells and services these products and other brands with pride and full commitment. Our services include fully discussing your product needs, a full workshop for repairs and service, pickup and delivery, product knowledge, training, and the supply of comprehensive accessories and safety gear. Our emphasis is on quality both in products and service and our line-up of premium products and our extremely experienced staff provide this to you our valued customer. Martyns Outdoor Power and Equipment Centre Ltd is a family owned company, originally established in the 1940’s by the Martyn Family. It has gone through a few ownership changes over the years, but we are proud to be again offering the Family Business Experience. The ownership of Dave and Leeza Smith along with Dave’s son Michael and his wife Haley and young children is designed to offer a long term future to the business moving forward. Our vision is to offer a range of service and equipment that are the best quality in their category to the market. As we all know – today’s society is constantly under pressure from low quality and low value products. However we at Martyns Outdoor Power and Equipment Centre choose to offer quality products that are not throw away after a short period of time, items that have longevity and quality and can be bought back to good working order by regular service and care. Through this foresight we have successfully entrenched ourselves as a seller of quality, long life equipment and excellent workshop service and repair. Our dedicated team at Martyns Outdoor Power and Equipment Centre Ltd all share this same vision backed up and supported by our excellent and experienced suppliers. We aim to provide offer quality and innovative products to our target market and we will provide Excellency of service to all our customers on time, all the time. We offer ‘Quality without Compromise’ and our motto to our customers is ‘We offer Premium Products, Flexible Quality Service, to give you our valued customers total Satisfaction! Our vision is to become a key supplier to the retail market of fine quality and innovative products. We aim to be a supplier that enhances our customer’s lives with easy to use effective products suited to their needs be they the Home Gardener, Lifestyler, Arborculturalist, Horticulturalist, or Commercial user. Our vision is to provide a ‘one-supplier’ solution for all of your outdoor power equipment needs. We will not promise beyond our ability to serve our customers and offer good honest family values.